The National Academy of Sciences today announced the election of 72 new members and 18 foreign associates from 14 countries in recognition of their distinguished and continuing achievements in original research. The election was held this morning during the business session of the 142nd annual meeting of the Academy. Election to membership in the Academy is considered one of the highest honors that can be accorded a U.S. scientist or engineer. Those elected today bring the total number of active members to 1,976. Among those selected was Harvey Tananbaum, who has served as director of the Chandra X-Ray Center (CXC) at the Smithsonian Astrophsycial Observatory in Cambridge, Mass. since 1991. 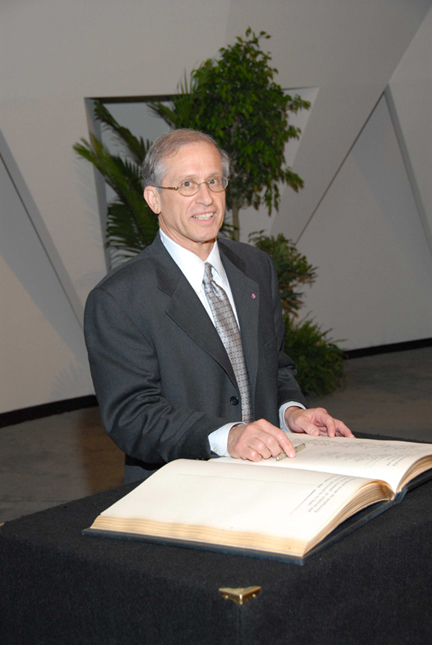 Prior to becoming director of the CXC, Tananbaum was Associate Director for High Energy Astrophysics at the Harvard-Smithsonian Center for Astrophysics, and scientific program manager for the Einstein X-ray Observatory. He has received the NASA Medal for Exceptional Scientific Achievement in 1980, the NASA Public Service Award in 1988, and the NASA Medal for Outstanding Leadership in 2000, the Bruno Rossi Award in 2003, and is a fellow of the American Association for the Advancement of Science. In 1976, Tananbaum and Riccardo Giacconi, winner of the 2003 Nobel Prize in Physics, submitted a proposal letter to NASA to initiate the study and design of a large X-ray telescope, thus beginning a 23-year journey which led to the launch of Chandra in July of 1999 aboard the space shuttle Columbia.